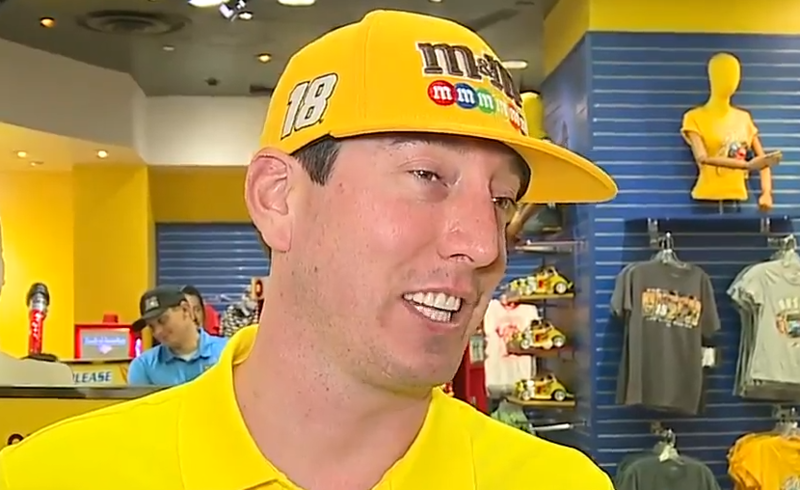 LAS VEGAS (KTNV) — Las Vegas' ultimate sports weekend kicked off with the NASCAR Hauler Parade and an action-packed fan fest downtown. The hauler parade route was extended this year to include downtown and a fan fest being held at the Downtown Las Vegas Events Center. The weekend is a celebration of the history and growth of sports in Las Vegas. This year’s action-packed line-up of sports events began with the free fan fest at the Downtown LV Events Center at 3 p.m.
Before each event the DLVEC transforms into a free fan fest with interactive experiences, athlete appearances, prize giveaways and more from all of the featured sports as well as the Las Vegas Lights FC, LV Aces, LV Aviators, UNLV, Southern Nevada Sports Hall of Fame and more. 3 p.m. to 6 p.m. Ultimate Vegas Sports Weekend FAN FEST Downtown Las Vegas Events Center 200 S. 3rd St.
6 p.m. to 8 p.m. NASCAR Hauler Parade Begins at Welcome to Las Vegas Sign and runs north on Las Vegas Blvd. to the U.S. 95/LV Blvd. 7 p.m. USA Sevens Rugby Parade of Nations Fremont Street Experience. 7 p.m. VGK vs. Florida Panthers viewing party DLVEC 200 S. 3rd St.